Maybe it’s a sign of our fast-changing times, but paradox and irony seem as common today as lunch and supper. For example, the world’s largest taxi company, Uber, owns no taxis and the world’s second largest air force is the U.S. Navy. The same is true of the American beef sector. As of mid-January, the owner of the world’s largest cattle feedlot operation—a 980,000-head behemoth with 11 feedyards from Texas to Idaho—isn’t a rancher, a feedlot operator or even a meatpacker. As previously reported here, the scandals gained traction last summer. Last fall, JBS S.A. announced a “divestment program” to finance a $3.2 billion fine levied against the brothers for an alleged bribery scheme in Brazil. Shortly thereafter, JBS sold the Canadian branch of Five Rivers, a 75,000-head feeding operation, for US$40 million. The most recent Five Rivers sale to Pinnacle marks JBS’s exit from all North American cattle feeding. In fact, the JBS-Pinnacle deal marks the first time in decades that no major U.S. meatpacker—including today’s three major players: JBS, Cargill, and Tyson—own any cattle, a one-time hallmark of the old boys’ meatpacking club. That’s a big deal because for decades cowboys and feedlot owners not “aligned”—or under some form of contract with a packer—complained bitterly to federal authorities that packer-controlled cattle allowed Big Meat to manipulate cash cattle prices. Those complaints led to successful efforts in Congress to require federal Mandatory Price Reporting by meatpackers and to unsuccessful cattlemen efforts in federal court to sue packers for collusion and price manipulation. So JBS USA, like Uber, and Cargill and Tyson, too, for that matter, has figured out it doesn’t need inventory in order to sell inventory. It only needs unlimited, no-compete access to inventory. So three new firms are now the functional equivalent of the former one and none have explained what their exact roles in America’s biggest cattle feeding company will be other than to supply cattle to its former owner. Does even one of Pinnacle’s “global investor base” know that their asset manager just bet $200 million on a business where, according to Iowa State University data, cattle feeders lost an average $51.57 per head per year from 2008 through 2017? Now that’s a paradox. 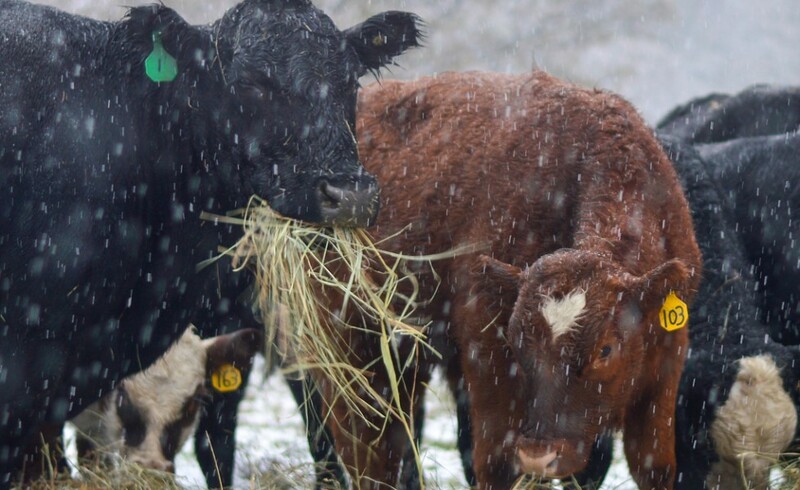 Despite the irrefutable, long-term unprofitability of cattle feeding, cattle continue to be fed and packers continue to make money. In fact, there seems to be so much money in cattle feeding now that even Fifth Avenue cowboys are getting in the game. How are they doing it? Facts can’t explain it and it’s almost certain the federal government won’t question it. So it’s a rather safe bet something other than an actual paradox is at work here. An even safer bet is that you and I are going to pay for it. ← This is Crazy, Right?